It took almost four years, but Sgt. 1st Class Cameron Corder is finally getting his money. Corder, whose story of financial problems resulting from the Army’s bureaucratic mistakes was profiled in Military Times last spring, won a victory late last month before the Army Board for Correction of Military Records to have his medical records updated and to receive $100,000 through the Traumatic Servicemembers’ Group Life Insurance, or TSGLI, program. He called the reversal a momentous decision for his family. Corder suffered serious back injuries while trying to treat a wounded, flailing Marine during his deployment as a medic in Afghanistan. He was medically evacuated to Germany and underwent numerous surgeries, all covered as service-connected injuries. But Army officials have for years refused to pay out the injury insurance policy because of paperwork mistakes in Corder’s case. Medical officials recorded his wounds but not the specifics of when they occurred, leaving the soldier technically ineligible for the additional $100,000. After multiple appeals with Army officials, Corder’s family turned to their local congressman, Rep. Dan Kildee, D-Mich., for help. Corder said he’s thankful the congressional intervention finally changed the decision, but Kildee said he remains frustrated that the problem wasn’t resolved years earlier. Former Sgt. 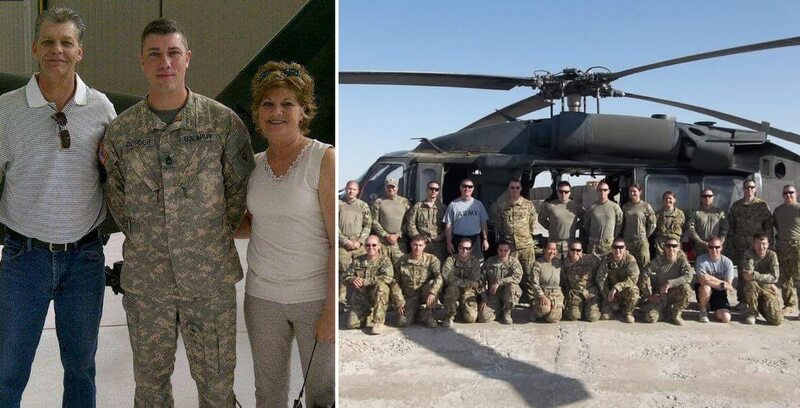 1st Class Cameron Corder was hurt in a helicopter accident in 2013. But the Army won't acknowledge that. As a result of the case, Kildee has introduced legislation that would require more transparency on TSGLI decisions, especially in cases of denials. He said the resolution of Corder’s case has strengthened his belief that the program needs reforms. He also hopes other troops learn from Corder’s saga.